Many individuals and families turn to home health care services when they need support for a serious illness or injury, or to help their aging loved ones continue to live independently at home. However, even with a care plan in place, it can be challenging to coordinate services, navigate the health system and access local resources – not to mention cope with the emotions that arise under difficult circumstances. To ensure that clients receive the care and support they need, and to reduce the stress on families, many of Bayshore’s Home Health branches offer the services of a Care Manager. These dedicated staff members are involved in everything from in-home consultations and creating personalized care plans to providing ongoing support and finding community resources. To learn more about this role, we invited Shie Gorman, a Care Manager at Bayshore’s Niagara Home Health Branch in St. Catharines, Ontario, to share her insights. Q: How would you describe the role of the Care Manager? A: Busy! It’s really busy, and it’s a really personal role. When I go out to see clients or speak to them on the phone, they’re the most vulnerable in those moments. Their loved one has fallen ill, and perhaps their family members live in another province or out of the country and are trying to implement care. It can be a really emotional time that they’re sharing with us and seeking support for. Q: What qualities make a Care Manager effective? A: Passion, and an understanding of the healthcare industry, especially when dealing with palliative care because many different agencies may be involved, and hospitals too. You have to know your community and what supports are out there so that clients can get the best care. Having health care knowledge helps because it helps you anticipate what people need before they even know what they need. You have to provide that foresight for them. It also helps to be able to multi-task and prioritize. You also have to be personable – you have to enjoy being out there, hearing people’s stories and being able to relate to them. Q: What is the process when your branch gets a new client? A: I call them immediately. When I get an inquiry or a call, I go out and organize their care services as soon as possible. Q: Why is it beneficial for clients and their families to work with a Care Manager? A: Working with a Care Manager means families have one point of contact, someone who understands their needs and has the foresight of what they will need in the future. We build trusting relationships and follow through on requests from clients and their families. They feel like we care, and that they have been heard. Q: Can you share some examples of how Care Managers help? A: I help with in-home consultations and creating care plans. I often explain the health care system and what’s happening in a person’s care. I help match clients to the most compatible caregivers. I also find and help people access local resources, such as seniors’ centres and meal delivery, or track down medical equipment and supplies that people need. I provide a lot of emotional support as well. Many clients call me just to talk. I encourage people to reach out to me whenever they need to, 24 hours a day, seven days a week. Q: How else do Care Managers help make a difference in the lives of Bayshore clients? A: We listen and respond to their needs. They can call us when they need help or have a question. I have some clients who just want some advice or a shoulder to cry on. 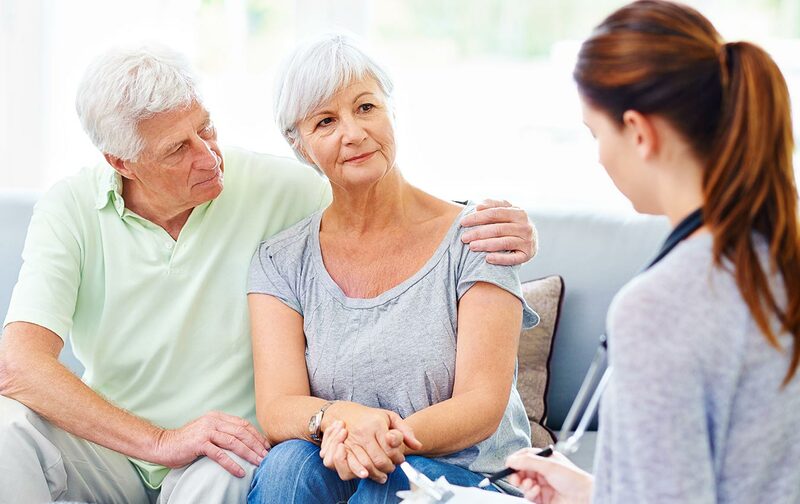 We become a part of their lives, and we want to ensure that not only are their loved ones well cared for, but that they are supported as well through our care of the client. Learn more about the benefits of working with a Bayshore Care Manager. For more information about Bayshore services, please call 1-877-289-3997 or email clientservice@bayshore.ca.